As previously reported, Maine passed a new law in 2015 that granted reciprocity to any resident permit from a state that also honors the Maine permit. 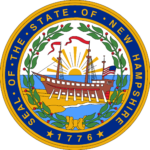 New Hampshire has moved forward with recognizing the Maine permit and so naturally in turn Maine will honor the New Hampshire permit. We have updated our permit map accordingly.